Are you making the most of your AllSeated account? Are you aware of all of the features available that can enhance your planning experience? 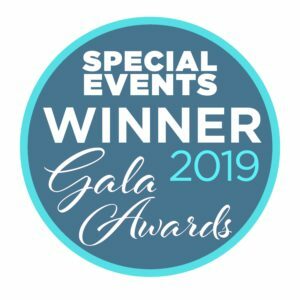 So many wedding couples, event hosts, caterers, and planners turn to AllSeated to easily create their floorplan layouts and seating charts but there is so much more available to you within your account that you may not realize. 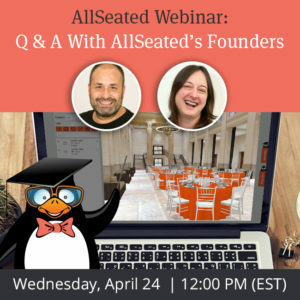 Maximize your AllSeated experience by utilizing the rest of AllSeated’s tools! We have talked in previous posts about the importance of building your guest list at the very start of the planning process. Keep an accurate count and listing of your invited guests all in one place. Easily update and edit your guest list with the click of a button. Group guests into categories for even more organization. Include mailing addresses for each guest on your list. Generate reports: Easily provide your guest list information to your invitation calligrapher! Manage RSVP’s: As your responses come in, easily track them in your guest list in order to start arranging your seating chart. Keep notes and list meal types: Easily enter meal types, allergy information or other important notes for each guest as needed. Track gifts received: As you receive gifts both before and after your special day, easily keep accurate notes on who gave what so that you can look back at your list when it’s time to send thank you cards. AllSeated offers you the ability to build multiple timelines. 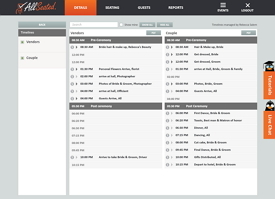 You can create a day of timeline for your affair and also create timelines for your vendors. Having a timeline helps everyone to operate on the same schedule since everything is outlined in the timeline. Have you invited your entourage into your AllSeated account yet? 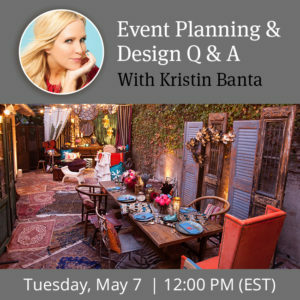 Have you included your vendors in on the planning fun? The ability to collaborate in realtime with your entourage and vendors is one of the best features of using AllSeated to plan your event. Keep everyone up to date (including yourself!) when it comes to your planning details to ensure a smooth set up process and seamless event. Available through download in the App Store, our Day-Of App for tablets is an extension of AllSeated built specifically to use the day of your event. 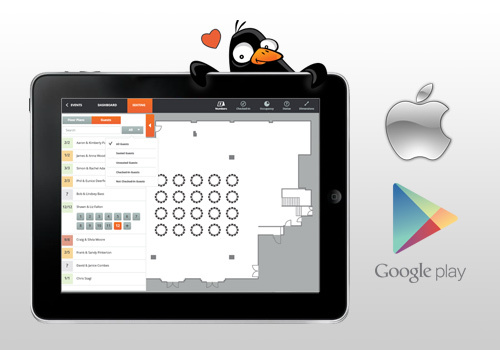 Full Check-In System: Easily seat your guests with the use of our mobile check-in system! Simply enter a guest’s name and their seating assignment pops up. Our check-in system helps you to keep track of who is in attendance, who is unaccounted for along with giving you access all in one place to your master seating chart! Also featured in the day-of app is realtime collaboration, an overview of check-in status, and the ability to view your floorplan layouts in both 2D and3D. If you have a tablet and have yet to install AllSeated’s Day-Of App, you can download it FREE in the App Store! So what are your favorite AllSeated features? Please let us know in the comments!